The Can Cooler is an Eco-friendly, fun, can huggie that will be taken home and reused. American printed, this is perfect for any school, golf, real estate, or healthcare promotion! 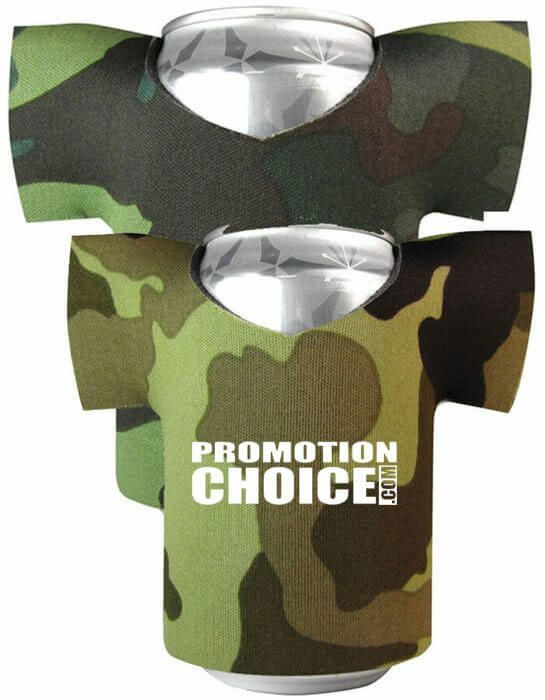 The Koolie is great to just keep around the house for any beer can or tumbler on a Friday night! Imprint Area 3”w x 4”h per side and Bottom Imprint. Production Time 7 work days. Requesting a virtual proof will delay your order by approx 2 days.